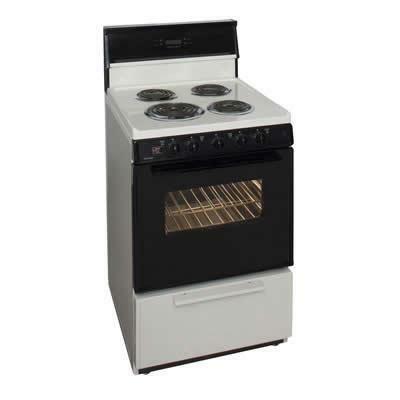 The Premier freestanding electric range brings you the features you need while accommodating a smaller kitchen space. All Premier ranges are made in the U.S.A. and come with an Exclusive Lifetime Warranty on all Top Burner Elements - Your assurance that you are purchasing a top quality product. 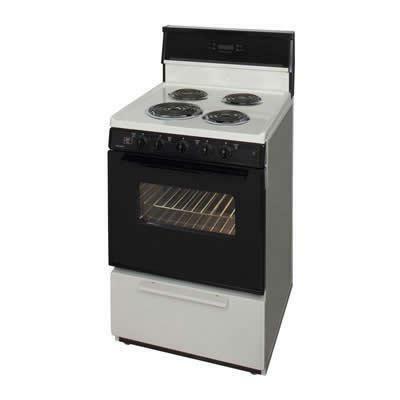 Equipped with a lift-up cook top and support rod, this range is a cinch to keep clean. Safety features like the Surface Indicator Light, will let you know at a glance if cooktop burners are on. 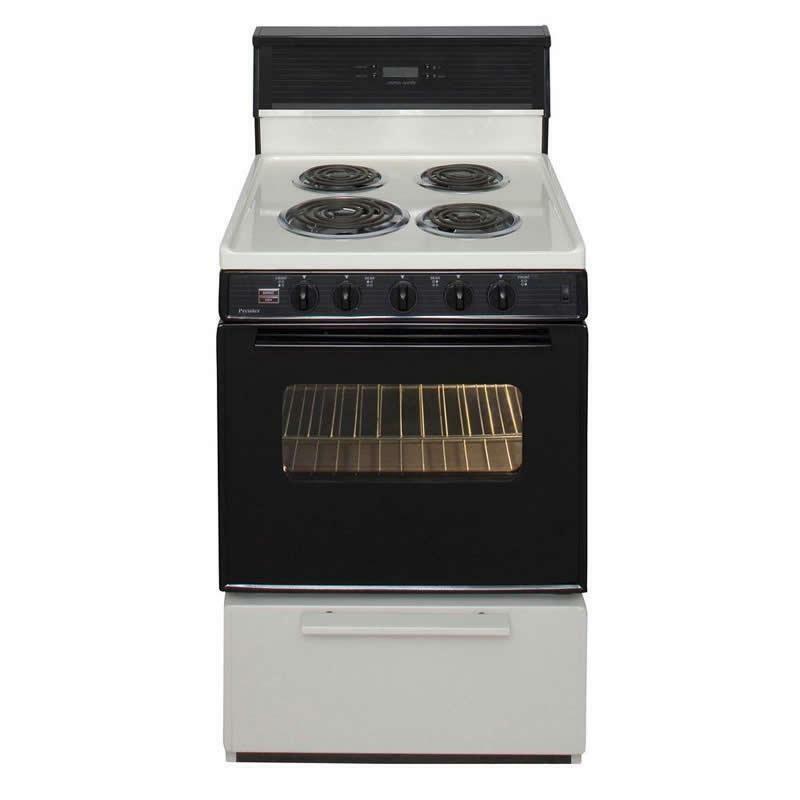 Additional Information Exclusive Lifetime Warranty on all top burner elements; Waist-high, variable, closed door broiling; Full width storage drawer; High grade, durable porcelain finish on the cooktop. Burner/Element Size Element No.1: 8"; Element No.2: 6"; Element No.3: 6"; Element No.4: 6".